Who doesn’t love summer vacation? No school, more time with the kids, beach, pool, camp, trips, long days, bonding, the list could go on and on! The chaos of divorce can put a major damper on everybody’s favorite season. Who gets the kids when, not enough time for trips, conflicting schedules, and more can really complicate what was once a much simpler time. 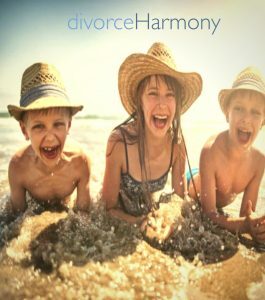 When couples divorce a major part of the mediation is deciding on a parenting plan. The parenting plan spells out many aspects of the family dynamics including what will happen during summer vacation. Unfortunately many mediators and attorneys fail to look at the big picture and consider that families’ needs may change over time and they do not make a “breathable” parenting plan that predicts these very changes. Luckily at Divorce Harmony we are well versed in this and devise intelligent parenting plans that stand the test of time. We have seen how faulty parenting plans can land the family back into court after a long and stressful divorce and that’s the last thing we would ever want for our clients. The best way to ensure success is to make the summer plan as specific as possible allowing for less ambiguity. It’s also wise to consider the perspective of the other parent. And I always tell my families that the agreement merely serves as a guide. They have it to refer to in case of disagreement but in real life they can be as flexible as they need to be as long as they are all in agreement. Essentially the plan is there for their protection. But the more both parents are flexible, the more successful everybody’s summers will be!